In a big blow to the administration of US President Donald Trump, a federal judge ordered the White House, on Friday, to restore the access pass for CNN’s reporter Jim Acosta. But the pass which has been restored is temporary. There was a heated exchange of words between CNN’s Jim Acosta and President Trump during a press conference, a few days ago. 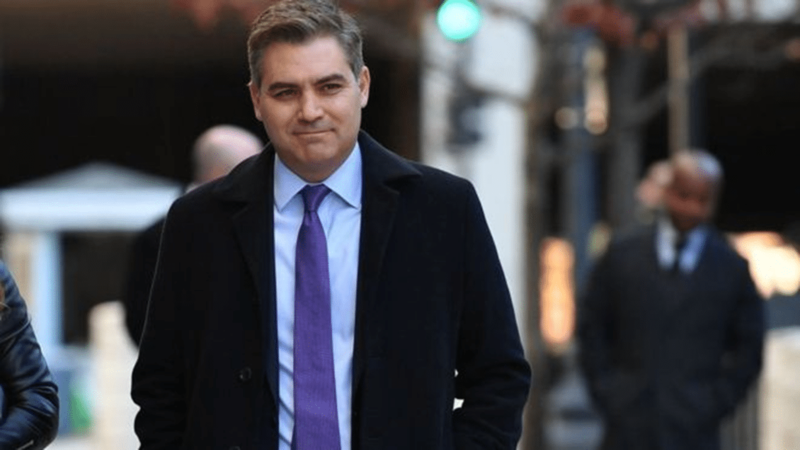 After that White House had banned Acosta’s entry, and in its response, CNN had also sued White House earlier this week, demanding the immediate return of Acosta’s press credentials. US district judge, Timothy Kelly ordered the White House, on Friday, to restore Acosta’s “hard pass” immediately. He also warned that the order is a temporary measure, while the case continues. But he said that he found it likely that CNN would succeed in its claim that its Fifth Amendment rights due to the process were violated. The judge also said that White House press secretary Sarah Sanders’s earlier statement on the reasons for revoking Acosta’s pass were certainly untrue and at least were partly based on evidence that was of questionable accuracy. Sanders had initially said that Acosta had been penalized for touching a White House intern after she tried to remove his microphone, during his interaction with President Trump. District judge Timothy Kelly, who’s a Trump appointee, didn’t an emphasis on the first amendment’s protection for freedom of speech and the press but instead focused on a due provision of the US constitution that provides for fair treatment via a judicial or administrative process. Kelly said in his verbal ruling that whatever process occurred within the government is still so shrouded in mystery that the government at oral argument could not tell him who made the initial decision to revoke Mr. Acosta’s press pass. After the ruling, White House said it would temporarily restore Acosta’s pass. The case though will still be continuing further between CNN and the Trump administration. CNN, the cable news giant, has remained a target for a while, for Donald Trump in his war against ‘mainstream media’. Meanwhile, reporter Jim Acosta is now back to his work as usual.